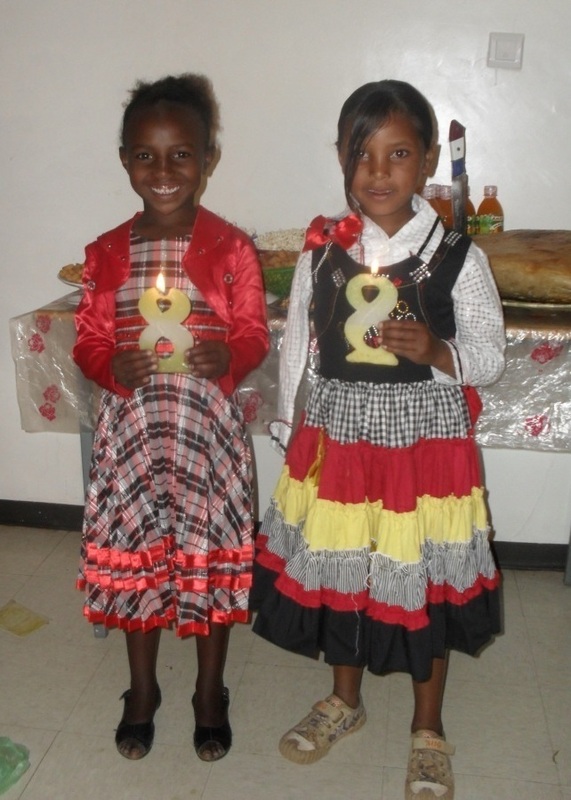 For Arebe and Meaza, a birthday party to celebrate their eighth birthday was more than they could have ever dreamed of, in fact, they did not even know how to celebrate a birthday. But this year, with a bottle of fizzy pop in hand and a huge cake on the table, it is hard to imagine the deep levels of poverty in Ethiopia from which these two beautiful girls have emerged. For Arebe, life was bleak when we first met her as she waited at our school gates in torn, dirty clothes with a large, obtrusive growth on her right arm. For Meaza, her days consisted of fighting wild dogs on the streets for scraps of food. Both Arebe and Meaza have now been welcomed into our children’s home in Bekoiji; Arebe has had an operation to ensure she is fighting fit and full of smiles, and Meaza is happily living in her safe, comfortable home with healthy meals and loving house parents. Thanks to the Stand by Me ‘treat fund’ and the kindness of their sponsors, Arebe and Meaza have enjoyed a wonderful, lively birthday party this week with their new brothers and sisters. The party involved lots of singing and dancing, games, food and an impressive birthday cake complete with candles – and it was a day that the girls will treasure for many years to come.